He himself bore our sins in his body on the tree, so that we might die to sins and live for righteousness; by his wounds you have been healed.? Far from rejecting such a good man as you, He never even abandons a wicked man who hopes for His mercy. May the Grace of our Lord be with you always! Great aim of our education is to bring out of the child who comes into our hands all his abilities, his powers, his capacities. South Indian Province directly empowers more than 8500 children through our educational institutions. Social empowerment is understood as the process of developing a sense of autonomy and self-confidence, and acting individually and collectively to change social relationships. Vincentians of south province carry out this in three different wings. 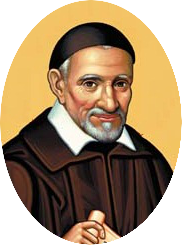 Almost 400 years ago St. Vincent de Paul founded the Congregation of the Mission also knows as Vincentians to lead catholic parishes in mission and renewal. Today south Indian Province serve in 22 parishes in India.